I have a passion for nature and wildlife and creating art. I have been drawing as long as I can remember and spent many hours as a teenager capturing my favourite pictures in pencil. Art has always been a part of my family. My grandmother, Jean Monkhouse was an oil painter and art teacher. She was my first art teacher, and I will always remember painting with her in her cottage in Atikokan. Inga was born in Lithuania. After obtaining a Bachelor’s degree in Theatre Directing, she, moved to Canada in 2011. In 2012 Inga began developing her painting and ceramics practice, as well as work as an art educator. Currently Inga is completing her BFA in the Drawing and Painting program at OCAD University. 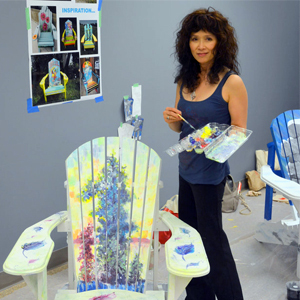 Cathy Lorraway loves to share her love of nature and art as a fine artist and instructor with students of all ages. She enjoys drawing portraits and painting acrylic, pastel and oil landscapes in plein air (on site). 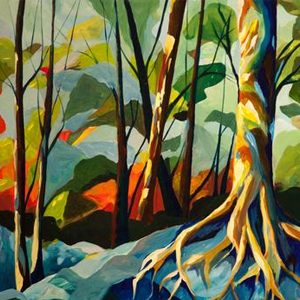 A graduate of the Ontario College of Art in Drawing and Painting and B Ed from the University of Toronto, she was a Secondary School Visual Art and Photography instructor for many years and has participated in the Artist in the Classroom program and as an Artist in Residence at Crawford Lake Conservation Area. Judy is an Honours Graduate of The Ontario College of Art and Design University. Judy has worked as an illustrator and award winning graphic designer before teaching digital art and fine art. Her work is represented by the Art Gallery of Ontario, Hamilton Art Gallery and Burlington. 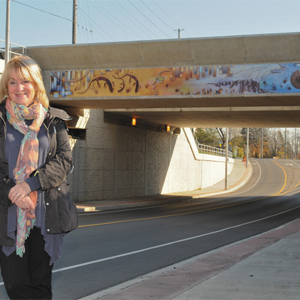 Judy is the 2015 winner of The Burlington Public Art Competition - King Road Mural. Laurel has spent decades refining her brushy, realist style with dozens of master artists, plus intensive study at several realist painting ateliers. She regularly exhibits and has won scholarships and awards for her work. The demanding art of oil portraiture, including commissions, is her focus but she also draws and paints many subjects with various media and methods. Robin paints daily life, things that inspire and excite. All the paintings are small, making it easier for people to buy and collect them. “Creating these small treasures brings great joy to my life.” Robin has won a Gemini Award for his work on the movie Nuremberg and has served on a Program Advisory Board at Sheridan College with the Dean of the Arts Program as well as the Dean of the College. His daily paintings on his blog have been viewed by almost fifty thousand visitors. My art is inspired by everyday life and has found home in private collections. It brings me joy and that’s what I endeavour to share by teaching art. Shelley's passion for nature is evident in much of her work, but she also enjoys painting portraits, landscapes and still life. 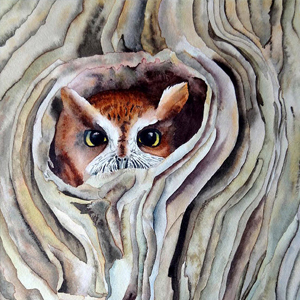 A graduate of Sheridan College in Oakville and Dundas Valley School of Art, Shelley has taught watercolour and acrylic painting throughout Ontario for more than 20 years. 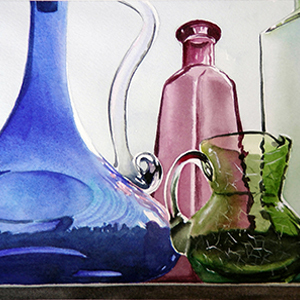 Her work has been seen in several local juried shows and has won local and international awards. 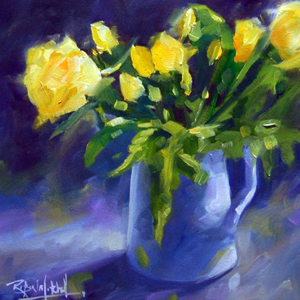 Heidi Rohde, a fine artist and instructor, paints expressive and vivid landscapes that evoke a mood or a feeling. She works in Acrylic, Watercolour and Pastel. She was an educator for many years teaching Visual Arts at the Secondary School level. She received her BA at McMaster and her B Ed from the University of Toronto. She continues to enjoy teaching and encouraging students to fulfill their potential. 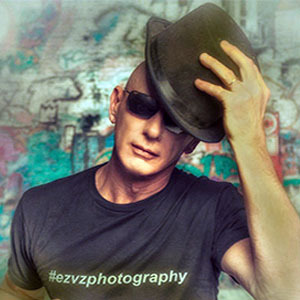 Ron is an Oakville based professional photographer. He is an Ontario certified teacher with over 30 years of experience in the classroom and a passion for sharing his knowledge. His goals are simple: to nurture the artist in everyone and to make it fun! A certified art instructor for Art Innovators, Julie also holds a City and Guilds Adult Teaching certificate as well as various vocational teaching certificates from the UK. She has a particular interest in art therapy for children and adults with learning difficulties and has found art can be an invaluable tool to overcome barriers in communication and improve confidence. Karlene is dedicated to providing a warm, caring and inspiring environment for seniors and those with struggling with disabilities. Her genuine love of teaching and her bubbly, friendly personality has made a lasting impression on all those she meets.